How Will Living On Mars Affects Our Human Body? Space Safety » Archive » Space Exploration » Destination Mars » How Will Living On Mars Affect Our Human Body? As the next giant leap for humankind, the colonization of Mars receives a great deal of attention. When discussing the settlement of Mars, it is important to consider how the Martian environment will affect our human bodies in the long-term — a subject that does not receive as much coverage as colonization itself, yet is vital to ensuring our survival when we get there. The Red Planet is the next natural step in humanity’s exploration of the cosmos – however living on the surface as humans adapted to life on Earth is medically challenging (Credit: NASA). The notion of leaving the cradle of humanity and settling in greener – or in this case redder – pastures on the fourth rock from the Sun has sparked novels, movies, research facilities, and now one-way missions. We have been conjecturing about life on Mars for centuries and recently, ‘Mars to Stay’ missions have been proposed by commercial entities in an attempt to bring these dreams to life and finally send humans on a trip to Mars with no return. 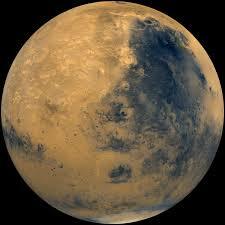 One such example is the non-profit foundation Mars One, whose goal is to establish a human settlement on Mars by 2025. It has stirred great interest with its optimistic roadmap of giving four volunteers a one-way ticket for a 210 day journey to the Red Planet every 26 months to spend the rest of their lives on Mars. Medically-speaking, getting there is essentially the easy part. The current six-month rotation on-board the International Space Station was partly designed so that it reflects the time taken to get to Mars, resulting in greater knowledge on what state an individual would arrive at Mars in. Physiological effects aboard the ISS range from muscle atrophy to osteoporosis and negative effects on the balance and cardiovascular system. With these mitigated for to some extent, such signs of the body adjusting to daily life without gravity are in synchrony with those likely to be experienced on a journey to Mars. As a result, the trip itself will not be so different to living on board the ISS — however the consequences of travelling beyond low Earth orbit and then living on Mars is far less familiar territory in space research. After a long space flight, astronauts find it difficult to stand and orientate themselves in the weight of Earth’s gravity. A crew of post-mission specialists are ready to assist astronauts upon landing on Earth, but this will not be the case for the first settlers on Mars. The surface gravity of Mars is 38% that of Earth. That might make it slightly easier on landing, but in the long run, the full force of gravity that our bodies have adapted to will not be present to re-strengthen the astronauts’ cells, bones, and muscles as they readapt to a gravity environment. Adjusting to this lower level of gravitational pull on Mars may cause a physiological change in the astronauts’ bone density, muscle strength, and circulation making it impossible to survive under Earth conditions if they were to ever return. – In the video below, effects of space on human physiology. The side-effects of travelling to, landing, and living on Mars are far greater in terms of both psychology and physiology. Travelling outside of Earth’s protective magnetic field to a distance so great that our planet is no more than a speck on the horizon will have a profound effect on the crew. Aboard the ISS, if astronauts are feeling down, family and friends are simply a phone call away. The astronauts are also able to change their perspective by basking in the beauty of the revolving planet beneath them. However, as Earth shrinks to merely a dot on the horizon and the crew begin to live and work on the surface on Mars, the time delay across the vast expanse of space increases and eventually phone calls with loved ones become impractical. With communication signals taking between 3 and 22 minutes to travel each way, the ability to sustain a real conversation with anybody on Earth is not an option ever again. This may eventually change the way that the crew view themselves. Psychologically, it is speculated that they will become Martians within weeks and will view themselves as a separate entity from Earthlings. The psychological isolation experiment Mars-500 explored this and other side-effects of crew isolation during a year and a half simulation of a round-trip mission to Mars. Romain Charles, who along with Diego Urbina and four other crew members spent 520-days in the Mars mission simulation, shared his thoughts on the defining moment when they felt separate from the outside world. It’s a tough question as we didn’t have any windows (or a simulated window) in our modules. Diego created an animation which allowed us to have a better understanding of what we would be able to see (or not see) but it came a bit later… I would say that, it’s not really the view of the Earth that changed our perspective. For me, the moment when we couldn’t phone the control center brought more “distance” between our crew and the world around than any window. Advancements in virtual reality technologies may aid the crew in maintaining their mental health and stimulate their sensory systems, providing the ability to virtually transcend to a familiar location on Earth that has fond memories associated with it. 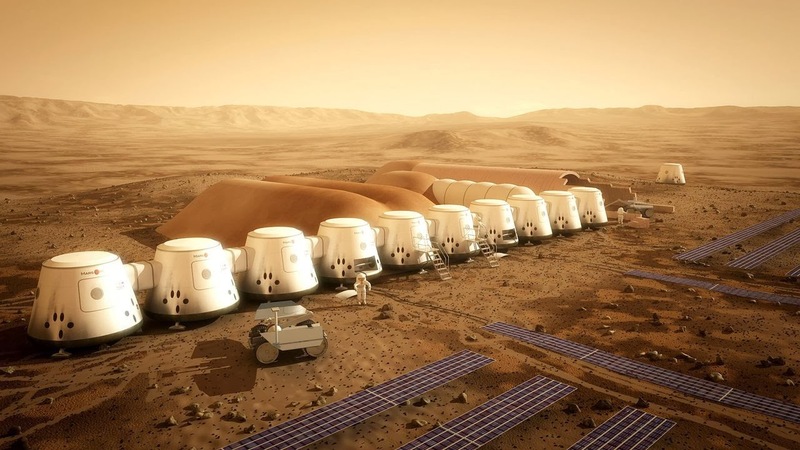 Mars One aims to establish human settlement by 2025 displayed in this artist’s illustration of the Mars One habitat (Credit: Mars One/Bryan Versteeg). This is the Mars Desert Research Station (MDRS), located in the Utah Desert it is one of the four Mars-like bases scattered across the globe that gathers key research into life on Mars including fields such as biology and geology (Credit: The Mars Society). In order to assess the physiological effects of living on the surface of Mars, the Martian environment must be considered. Although it is orbiting 50% further away from the Sun and is 11% smaller than Earth, Mars is remarkably similar to our blue marble. With polar ice caps, seasonal changes, and weather patterns, it appears to be relatively comparable. However, the absence of an ozone layer and liquid water are both extreme factors in the safety of astronauts. The presence of ‘superoxides’ that break down in the presence of ultraviolet radiation in Martian soil and a much lower level of thermal inertia on Mars also makes it difficult to predict how the human body will cope in such an environment. Martian dust devils, monster columns of spiraling red-brown sand and dust ten times larger than tornadoes found on Earth are predicted to also pose a threat to Martian settlers. Currently exploring the surface of the Red Planet is NASA’s Curiosity rover. Its radiation-detecting instrument Radiation Assessment Detector (RAD) collected data that suggests that the risk of radiation exposure on a 180-day each-way return trip to Mars with 500 days on the surface would expose astronauts to a cumulative radiation dose of about 1.01 sieverts. However, the long-term radiation dosage for those dwelling permanently on the red planet requires much further investigation. Simulations of life on Mars in analogue Earth environments such as the Mars Analog Research Station (MARS) project established by the Mars Society help to reveal the mystery behind life on Mars. 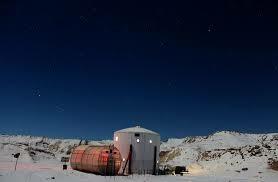 This is a global program of Mars exploration in four Mars base-like habitats located in the deserts of the Canadian Arctic, the Utah Desert, the Australian outback, and Iceland — allowing novel insights to be gained and field research to be conducted by rotating crews. Such research in Mars-like environments is a valuable source of knowledge for researchers and inspiration for enthusiasts with the vision of human exploration of Mars. The Martian habitat will undoubtedly need to protect the crew from long-term radiation exposure. Using Mars One proposes to solve this challenge via a habitat covered by a layer of soil that provides shielding against galactic cosmic rays. They state that sixteen feet (5 meters) of Martian soil provides the same protection as the Earth’s atmosphere — equivalent to 1,000 grams per square cm (227.6 ounces per square inch) of shielding. If the colonists spend two hours a day outside the habitat, their individual exposure adds up to 22 mSv per year. Key research into habitat and spacesuit technology is to be done in order to provide sufficient radiation shielding so that the settler is made safe when both indoors and outside on the surface of Mars. – Mars One promotional video. Eventually, humans will journey to Mars and settle on our neighboring planet; however this journey remains the greatest challenge of our time at present. In order to thrive on the Red Planet in the future, it is vital that thorough research into the Martian environment and its interaction with the complex human body is carried out now. In particular, long-term isolation studies that simulate not only the journey to Mars, as in the case of the Mars 500 experiment, but also daily life on the surface of Mars as a human settler are needed. Medical experiments investigating the environmental effects of the Martian environment such as prolonged radiation and reduced gravity should also be carried out. Understanding these effects is critical to maintaining the health of those pioneering few that are bold enough to take the next step in humanity’s journey through the cosmos and it will ensure the survival of our species for many generations to come, as Earthlings and Martians. The cost of a Mars hero mission – along the lines of Apollo – must be greater than the cost of building self-sustaining habitats in first Earth, then eventually solar orbit. The challenges of Mars are not limited to a minimum mission of 15 months, escape from Mars gravity well, inadequate radiation shielding, the elephant in the room is that with the fittest, best prepared astronauts, on a mission of that length, one or more of them may well have a life-threatening medical incident. In a habitat in Earth orbit, emergency return to full medical facilities may be a matter of a few hours. On a Mars mission a critical crew member could be lost while en-route, threatening the viability of the entire mission or even the crew. Build a large space habitat with a rotating section able to simulate 9.81 metres per second squared or enough to meet medical criteria, build it with systems to grow its own food using sunlight and recycled water, and eventually we would have communities in space with their own medical facilities. Why invest all that effort to go to a dead world in a hurry? The early Earth explorers would run short of food due to limited navigational accuracy, but they always had breathable air, sufficient warmth, could scavenge water and food from any land they happened to reach. On Mars, if life support fails in any way, the crew is gone, and every bit of redundant kit to prevent that failure costs a “king’s ransom” to deliver to the surface. If the orbital habitats lead to a sustainable space community, eventually there will be humans for whom it will be a short step to explore Mars, or even to more enticing places like Enceladus or Europa , moons now confirmed to host liquid water oceans, but wholly inhospitable to human life with current “giant leap” space transportation systems. It’s nice to see someone who finally gets it. Colonizing Mars is completely unnecessary at the moment and a huge waste of funding. Mars doesn’t even provide the right amount of gravity so as you said the solution is fairly small space colonies utilizing some form of artificial gravity in Earth Orbit and eventually larger ones in the Lagrangian points. Absolutely! Well said! And with a rotating space station in Mars orbit, scientists could at their leisure take a trip to the surface for a week or two to conduct research. Returning safely to the station when done. We need to become a space faring species, independent of planets. I agree Bobo348 also to avoid humans becoming Martians ( a separate species ) there needs to be a 1G environment available. A 1G orbitting space ship would provide this and a much more comfortable trip to Mars and back. It is possible to build a 1G habitat on Mars too. Sending a tunneling machine there would be a priority. It may be expensive but not as expensive as losing the entire human race due to a sudden mass extinction event on Earth. We should also be building self sustaining underground cities here on Earth to protect us from sudden radiation events. I would like to see at least 4 1G ships built to allow comfortable exploration of the solar system. For safety these ships should also explore in pairs. It is the future of the human race which is at stake. Space is deadly and by incredible luck we have managed to dodge the bullets so far. Is the core of mars molten as earths core: it would certainly be a good source of heat and possibly a means for generating large amounts of electricity in the future. Would it be feasible to send a large tunnel boring drill, that would enable to have the colony under ground: no radiation and excellent protection from surface storms? Mars lost it’s heat very fast. No it isn’t molten, and it is not Iron either, which is why there is no magnetic shield. which is why the atmosphere ionized and blew away into space a billion years ago. Curious as to how you are going to get a ‘large boring drill’ plus energy supply all the way to Mars? On the other hand, you could get a pick and shovel there easily enough. Elon Musk is sending Colonial Transporters with cargo of 100 tons a time. Who says Mars does not have a molten core? It is not the iron which generates the magnetic field. Mars lost its atmosphere mainly because it is smaller than Earth with about a third of the gravity and it is further from the Sun so a lot of the atmosphere is frozen. An artificial magnetic field can be created. Mars still has a significant atmosphere though, and will burn up spacecraft entering it without a heat shields. It is also possible to fly planes in the Mars atmosphere. Just the stall, take off and landing speeds will be higher. Geologists say that mars does not have a molten core dude. And yes, we do know pretty much for sure that it’s the spinning iron in our planet’s core that causes our protective magnetic field. How do you plan on “creating” a planetwide protective magnetic field, you human magnet genius? It is molten, but it doesn’t spin like our core, so provides no magnetic shield.